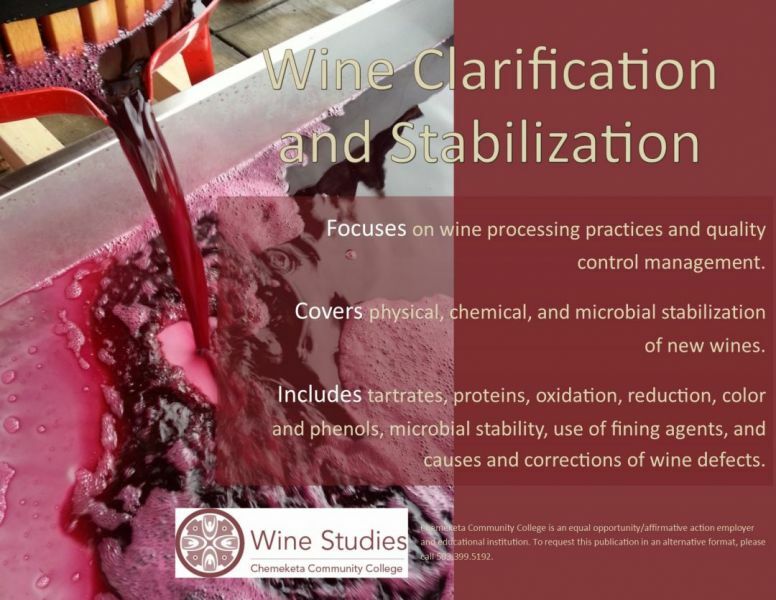 Wine Clarification and Stabilization is a four-credit course offered by the Chemeketa Community College Wine Studies Program. This is an 11-week class, beginning January 10. Class meets 3:00 to 7:50 pm, Wednesdays. For questions please contact the instructor, Scott Dwyer. New Chemeketa students go to applyonline.chemeketa.edu. Continuing students can register online at my.chemeketa.edu.